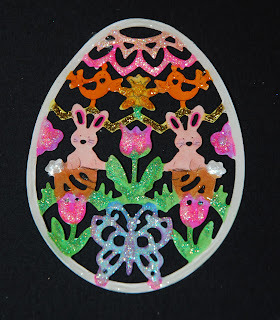 CardMonkey's Paper Jungle: Intricate Easter Egg Die Cut - Any ideas? I've been tinkering in the PaperJungle, playing with new dies and wondering how best to incorporate the results into a project for giving. 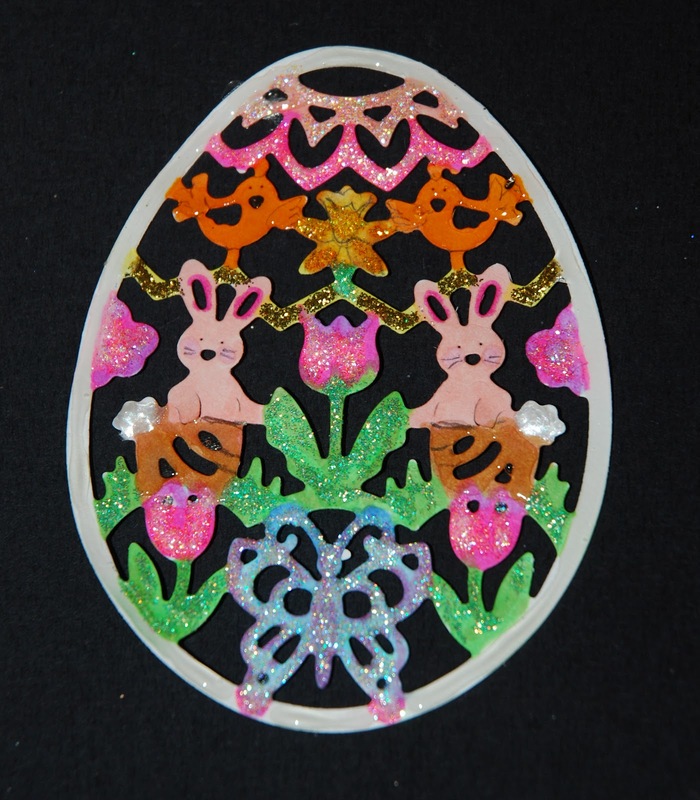 Recently, I got this Cottage Kutz intricate Easter egg die. Yes, I could leave it white-on-white, but I had some fresh colors in my Copics markers collection. Then I went a little overboard (is there such a thing?) with Stickles and Liquid Pearls and Glossy Accents. Very pretty and ornate. I like it!--Pat N.
Gorgeous- I was glancing down from the hop above and noticed this- amazing. Getting ready to add my email address in so I can get your post delivered to my inbox and not miss any of them. Some ideas: back with pale colored paper to make the brighter colors pop, back with velum for a soft look, back with something clear for see-through loveliness. This would be a great addition to a card, a gift tag, on a memory box, on a stick as a plant poke, on a flat fan ...!